This section is a pre-recorded, self-paced asynchronous class. We also provide a live online Psychology class option. None, but it is helpful if students have taken a worldview class or unit study. 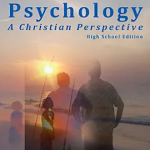 Homeschool Psych Preparing Christian Homeschool Student for Psychology 101 OR Psychology: A Christian Perspective, High School Edition are both ok. You can order at (https://homeschoolpsychology.com/product/homeschool-psych-preparing-christian-homeschool-students-for-psych-101/. Enter the coupon code “MyFunScience” on the Cart page for free shipping.